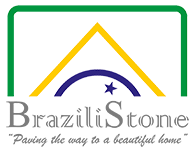 Why Choose Slate Flooring For Your Home? Are you looking for a lovely alternative to dull porcelain tiles? Slate has seen something of a resurgence in the past few years but it never really went out of style. One of the most popular building materials, it is suitable for either modern or traditional homes and can complement almost any colour scheme, helping you achieve a striking, contemporary look. One of the strongest natural stone flooring materials, slate is ideal for both kitchens and bathrooms with plenty of human traffic. Naturally waterproof, it is particularly popular for modern spa like bathrooms. If you’re looking to make a long-term investment for your flooring, these types of tiles could be ideal: slate flooring is not only beautiful but extremely durable and stain resistant. Dependable and low-maintenance, it could the flooring solution you’ve been searching for. 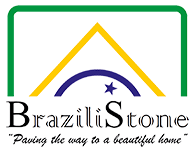 Brazilistone are ideal for anybody looking to order affordable, quality indoor tiles made from slate. Our Brazilian slate tiles come with a beautiful finish and are suitable for all sorts of rooms, from spa-style bathrooms to kitchens. Highly cost-effective, our tiles come in a three different shades, including grey-green, black and multicolours. As you can see by our pictures, they create a lovely look you’re guaranteed to fall in love with. Why not discover more about our slate flooring today?